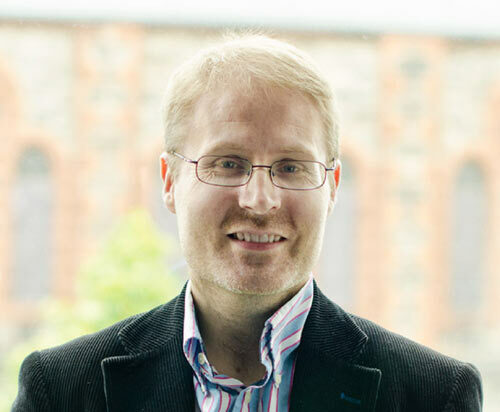 Belfast software powerhouse Kainos (http://www.kainos.com/) uses a successful software development approach – Agile. Tom Gray, the company’s CTO, explains why financial services companies should be looking to this kind of approach to help speed up responses to business process change. UK financial services face tough times. On the one hand, players in the market know they need to respond to escalating regulatory control, fragile investor confidence and weakened demand. And on the other, to maintain profitability hard choices need to be constantly made about resources in order to remain competitive in this unrelenting environment. And finally, customers increasingly demand more and more convenience. All this means organisations have to drive down servicing costs, improve customer experiences, build business systems quickly and in a highly responsive and affordable way. The key here could be a form of IT development methodology called ‘Agile’; where the emphasis is all on proper feedback and communications and a more fluid approach to software development. That’s because expecting customers to know everything they might need from any proposed new system and telling them that they can’t ever deviate from the design once set in stone simply doesn’t reflect reality. Sometimes the desired software capability is heavily algorithm based – e.g. the calculation portion of an insurance application where exact detail must be pinned down and rigidly adhered to. But most systems just aren’t like this. Agile is a group of software development methodologies based on iterative and incremental development. Using Agile solutions evolve through collaboration between cross-functional teams. Agile in its very DNA promotes evolutionary development and encourages a rapid and flexible response to environmental change. To use a useful metaphor, think of traditional approaches to software development as a train ride; fine if you want to get from A to B as directly as possible and you know where A and B are. However, if you suddenly need to make a diversion, your only option will be to pull the emergency brake and reverse the journey until you get to a point where you can pick up a new route. An Agile approach to development, by contrast, can be thought of as taking a futuristic bubble car that is able to nip back and forth at will, unimpeded by a mapped out route or roads with irregular turn-offs. It’s also the case that ‘Agile’ isn’t embodied in one particular technology solution, so there are different Agile methodologies to choose from. Experts favour a pick and mix approach, as some Agile styles suit certain types of project over others. Fundamentally, the Agile ethos is all about being highly flexible, responsible and pragmatic about the natural evolution of a project – and keeping an open mind about change. In the financial sector, let’s remind ourselves, change is the only real constant. That means that if we ‘hard-wire’ an application to meet a specific set of circumstances for a customer in the banking sector, any change in the regulatory regime could make the software obsolete overnight. That’s why Agile could be a genuine breath of fresh air in this sector. One of the fundamental premises of Agile development is to work closely with the customer to ensure they have early sight of what is being developed and can check that this meets their needs. An Agile project will fail if the client has not ‘bought into’ the approach, so it’s crucial that the client is actively involved in all delivery decisions and at weekly meetings, to ensure that the development is on track and continues to be relevant. Let’s be frank, with consumer confidence in the financial sector at an all time low, that has to be very worthy goal – one that also happens to slash your time to market and boost profitability. By putting users back at the centre of processes, you can create applications that meet your customers’ needs. Another appealing aspect; Agile development is paperwork light. It has to be, in order to be all the things its name speaks of, and there’s certainly no need for copious documentation to try and codify process and product knowledge. So by involving the client at every step, there is always complete transparency so if significant changes are likely to have an effect on delivery, this can be addressed quickly. It’s worth pointing out that Agile does not mean infinite changes for zero cost, of course. Regular meetings need to be held to provide a forum to discuss any rapid trade-offs that might be needed if changes are significant. That way, the business can have the maximum amount of project evolution for a manageable cost. The adoption of agile methods has created demand for a new generation of Cloud-based development platforms that can be accessed easily and remotely. This way, teams can work tightly together when members are dispersed across multiple locations. Development environments and tools to help facilitate project communication will continue to play a critical role. High quality work, in a flexible and affordably way and within tight timeframes are what customers who have chosen Agile report time and time again. In a recent project for a major financial services customer, for example, my company employed rapid prototyping to quickly develop an early version of new Web and mobile-based dashboards. The mission was to give brokers real-time access to competitive information, drawn from multiple systems. This working prototype gave the company access to functionality within a matter of days, and allowed the brokers to experiment and get used to the system and find out what they wanted from it. Subsequent iterations happened rapidly and weekly, until the client was happy that it had all the features it needed. As a result, the company was the first to market with a dynamic product that users were happy with, and that allowed it to extend its lead in the sector. The verdict’s clear. The Agile approach is a major trend, not mere fad. It’s here to stay because it works. And in our recessionary times, the arrival of Agile into the banking and finance sector has to be good news.